When you initiate background checks through our ordering system, it doesn’t dissolve into an automated process using algorithms to collect information from a magical criminal database in the sky. 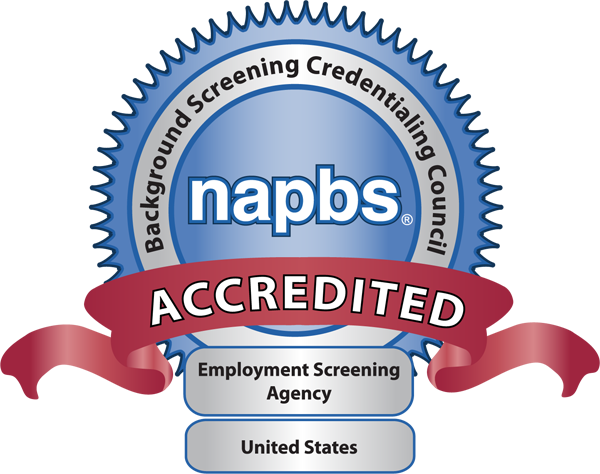 No, your employment screening needs are handled by a team of professionals who consider themselves as a part of your hiring efforts. Our team members are all trained in Fair Credit Reporting Act (FCRA) compliance and receive a certification from the National Association of Professional Background Screeners (NAPBS). We’re not all business, though. Our office is full of characters that keep things light. A graduate from the University of Kansas with degrees in Classical Antiquities and Classical Linguistics, Stephen spent years managing a paint store before finding a new home with Validity Screening Solutions in January 2016. When Stephen isn’t at work, he’s most often at home attempting to convince his wife to allow him to buy a new guitar, amp, or other musical gadget. When he isn’t working on music, he enjoys filling his free time with books, computers, and the Minnesota Vikings. Heather is a proud red-head. She's also originally from Palmdale, CA, which is in the desert and also home to Afroman. She has lived in the Johnson County area since the end of 1995 and is proud to call KC her home. Heather has a spunky seven year old daughter named Autumn who inspires her to do her best every day. Heather is a huge baseball fan and always looks forward to another season for the Kansas City Royals. She's a lover of the outdoors and live music and has even traveled to several different states to attend concerts and music festivals. Her favorite would be when she saw The String Cheese Incident at the Red Rocks Amphitheater in Colorado. 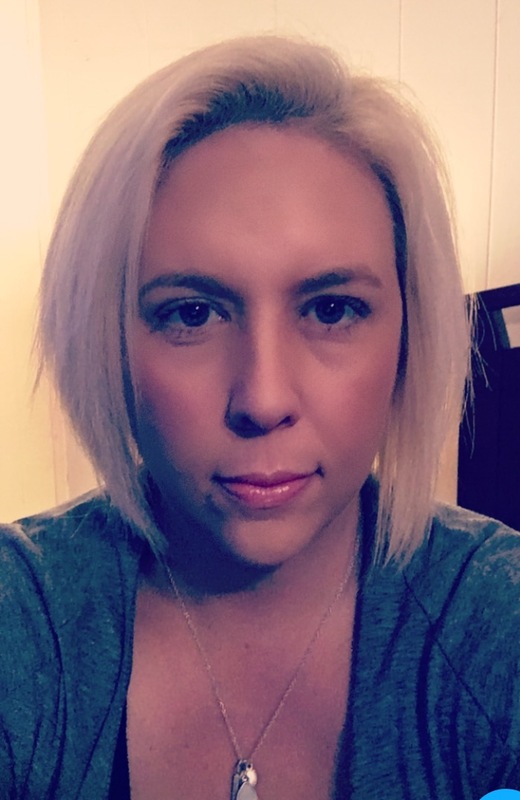 Nicole joined Validity in January 2017. 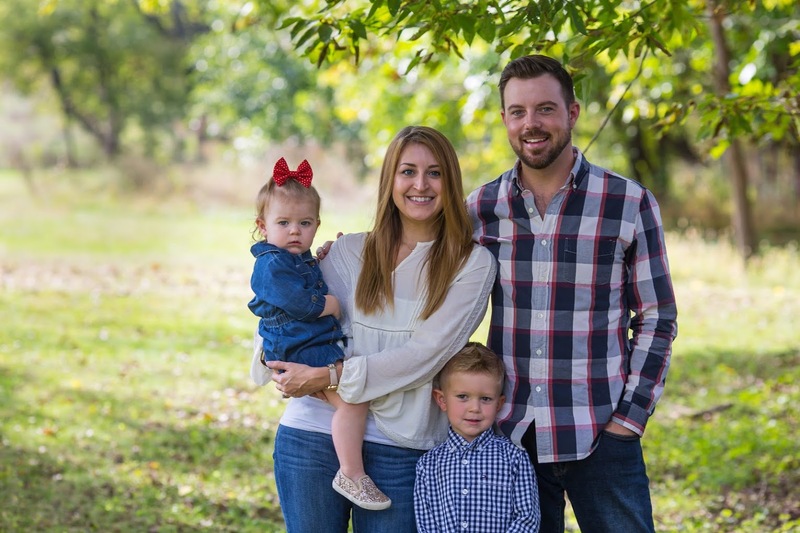 Nicole was born and raised in Kansas City (Go Chiefs and Royals) and currently resides in eastern North Carolina due to her husbands Marine Corps career. 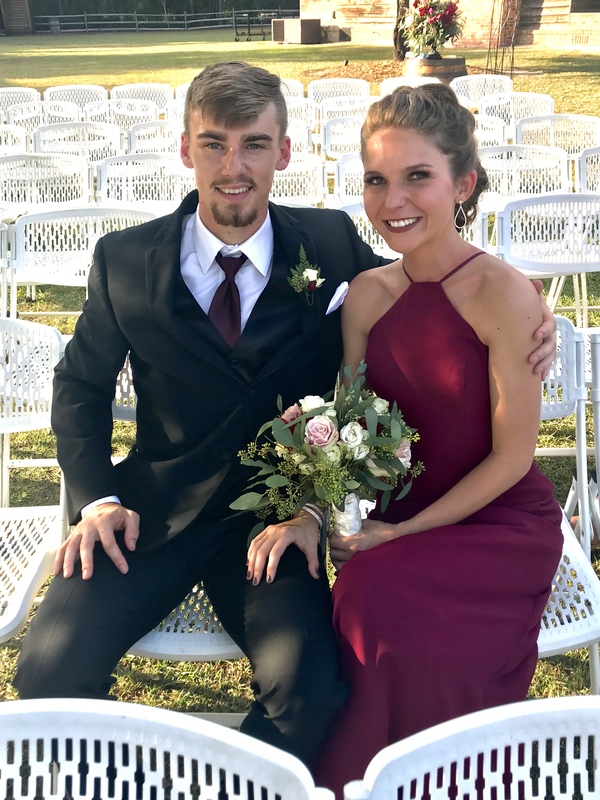 She is married to her high school sweetheart Justin, and together they have 3 children; Skylar, Camryn and Mason- who all keep her extremely busy. 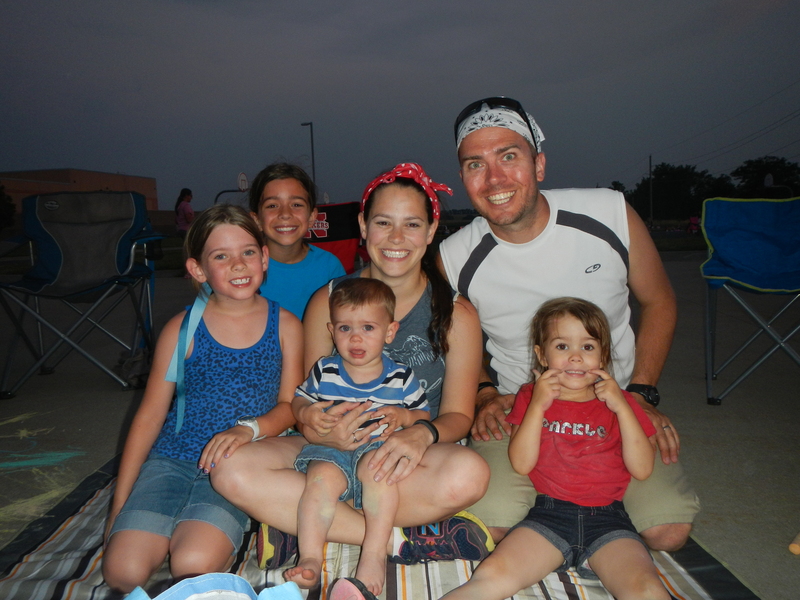 In her free time, she enjoys going to the beach, watching her kids play baseball and soccer, coaching and playing in a Kickball League with other military spouses. 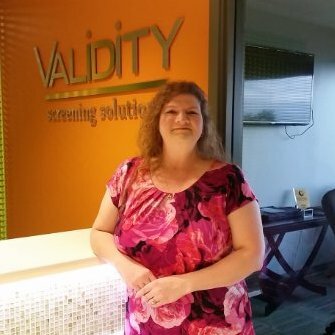 Amy started working for Validity Screening Solutions in October, 2017 as a Quality Assurance Specialist. She loves gardening and taking exciting road trips. But what means the most to Amy is her family and her son Joey. She aspires to continue to keep filling her passport with fun and exciting new places with hopes to someday see the world! So far Amy has been to Jamaica and Punta Cana, and is excited to plan her next adventure! Micah was born and raised in Pittsburg, Kansas. She is married to Bart Arnett and they have six children, Heather, Ethan, Marshall, Leni Jewell, Maverick and McCoy. 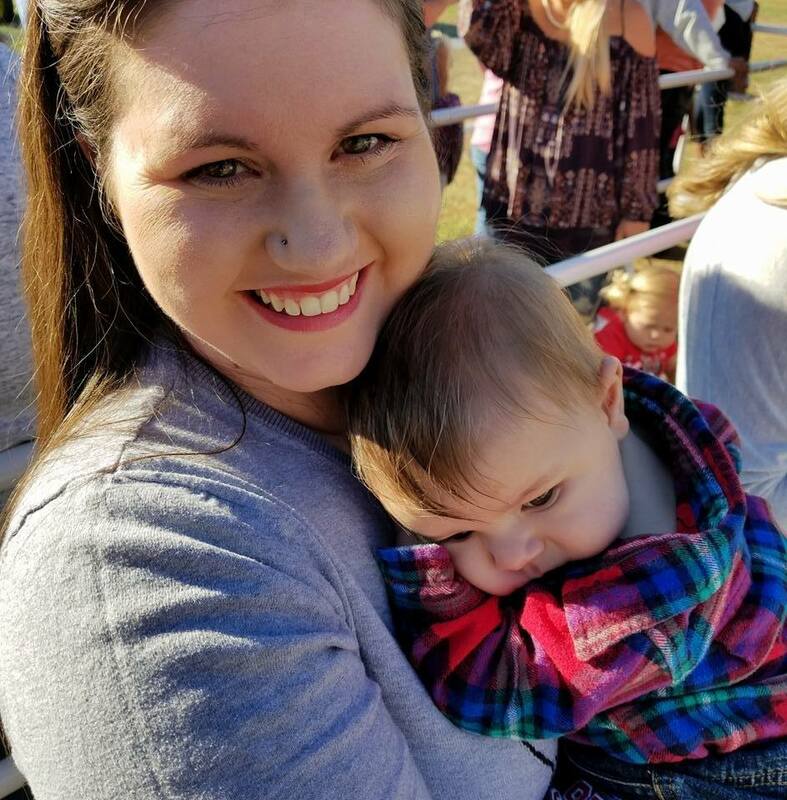 She graduated from Pittsburg State University and taught Physical Education for 12 years before deciding to stay home after her last baby. She began working for Validity in August 2016 and loves learning and being part of such an awesome team. Micah and Bart opened their own business, Arnett Glass, in November 2017, and it has been an exciting adventure. They are both entrepreneurs at heart. She spends her time chauffeuring kids to school and activities, watching their sporting events, and spending time outdoors. She loves to crochet, journal, read, have coffee with her friends, watch Pitt State football, KU Basketball and the Chiefs. Traveling is something she hopes to do more of in the future, as well as volunteering. She has a passion for helping others and teaching her children to do the same. Born in Kansas City and raised in Basehor, KS. Becky spent a lot of her childhood playing sports and hanging with the neighborhood kids. Becky has a daughter who is now in nursing school, so it is just her husband Jeff and her at home. 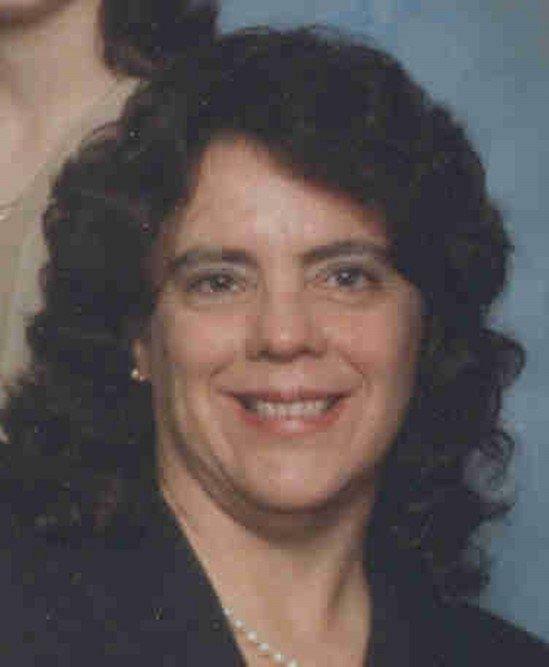 Becky enjoys cooking, spending time with her husband, and meeting up with her girlfriends. She loves to travel and go down town to the west bottoms! 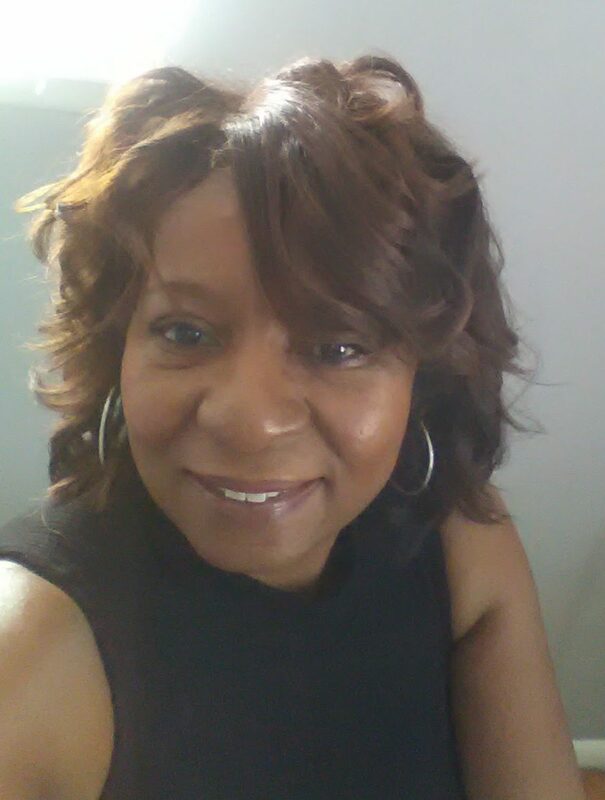 She has a passion for helping teens and single mothers and would love the opportunity to help counsel teenage children and young adults some day. Ashlee is a wife and mother to two little girls. She is a Kansas native currently living in Atlanta, Georgia. When Ashlee isn’t working, she enjoys reading, cleaning, organizing and being creative. Her family is active in their church and they enjoy going to concerts, baseball games and traveling. They have a dream of someday visiting every Major League baseball park. She has a degree in communications and has worked previously in Advertising and Marketing. Her favorite movie is Field of Dreams, and favorite book is anything by C.S. Lewis. She is interested in genealogy and the history behind things. Madison was born and raised outside of Indianapolis, IN. She has been huge a Colts fan ever since she was little. When she moved to Statesboro, GA in June of 2016, she found a love for college football -- Go Dawgs! She later joined the Validity Team in July of 2017 and never looked back! She has three dogs - Gamma, Harley, and Frank - who love to go adventuring outside with Madison. They love finding new trails and lakes to explore together! Madison is the baby of her family, she has 6 older siblings who have blessed her with eight nieces and nephews. 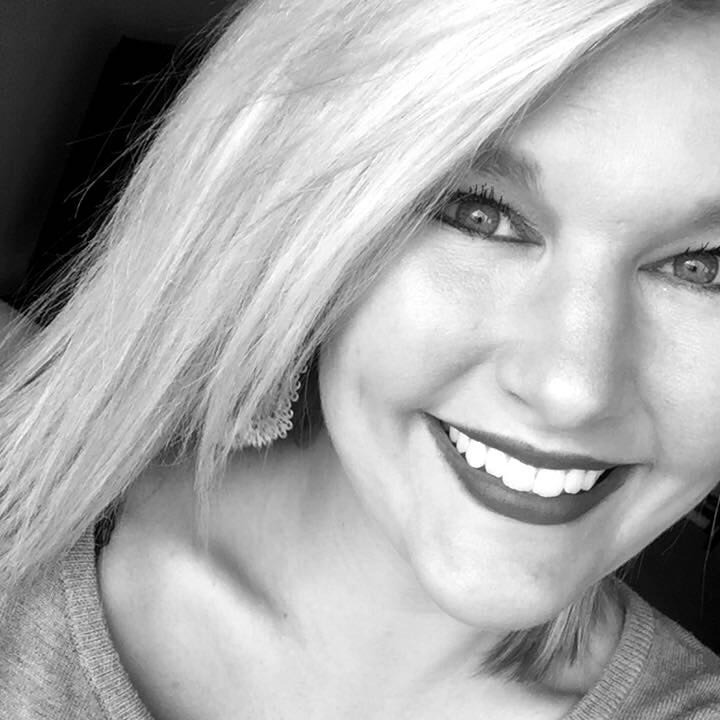 Growing up around them instilled a passion for working with kids -- Madison hopes to attend Georgia Southern to become an elementary school teacher! Amy is a true Validity Veteran. She has been with the company since its inception. 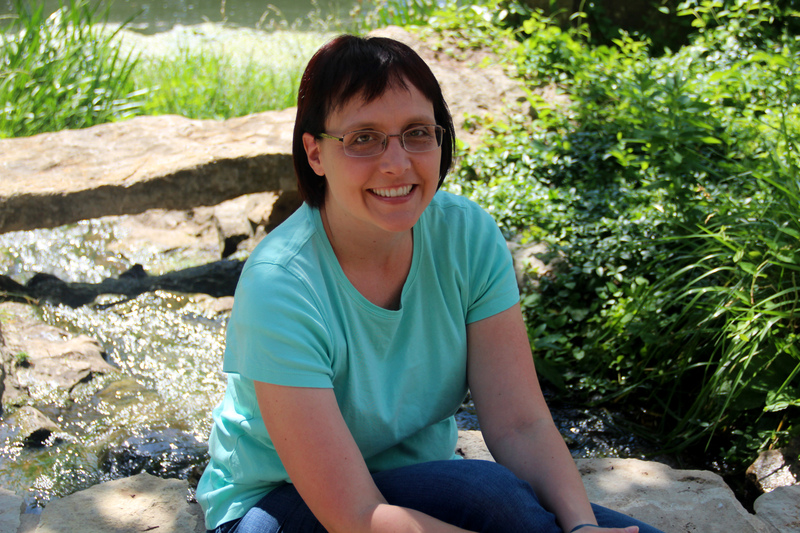 Amy was born and raised in the Kansas City, MO area and loves the seasonal changes that living in the Midwest brings. Amy graduated from the University of Missouri – Kansas City with a degree in Administration of Justice. She loves to read mystery and suspense novels, especially from her favorite authors Harlan Coben and Gillian Flynn. When Amy isn’t enjoying a good mystery and suspense novel you’ll probably find her volunteering with the many groups she’s passionate about (Tiger Buddies, Girls on the Run, and Girl Talk). 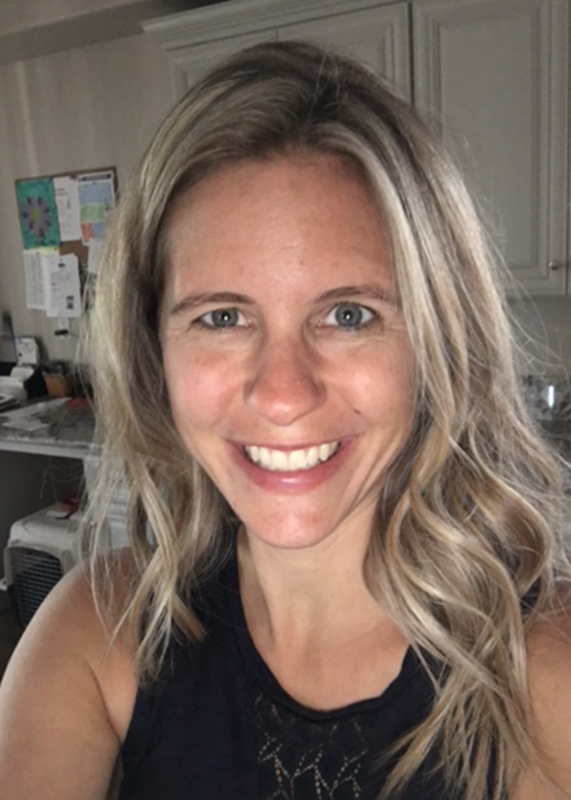 Above all else, Amy enjoys traveling and spending time with her husband and two children, welcoming the adventures their lives together brings. Fun Fact: Amy also totally knows how to tap dance! Leslie is originally from Iowa, and now lives in the land of the Minnesota (N)ice. When she's not curled up next to her space heater, she enjoys spending time with her husband and two kids. And wine, she really enjoys her wine. She loves making things beautiful, whether it's designing for work, decorating cakes, or color-coordinating her closet (she may also be a bit neurotic). Her favorite Pantone color at the moment is 603C and favorite crayon color is Jungle Green. You can often find her jamming out to 90's rap, planning her Thanksgiving menu (no matter the time of year), or chasing after the garbage truck with her son. 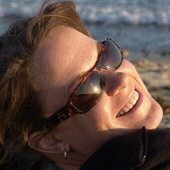 Andrea Bishop is Validity’s Verification Unit Supervisor! 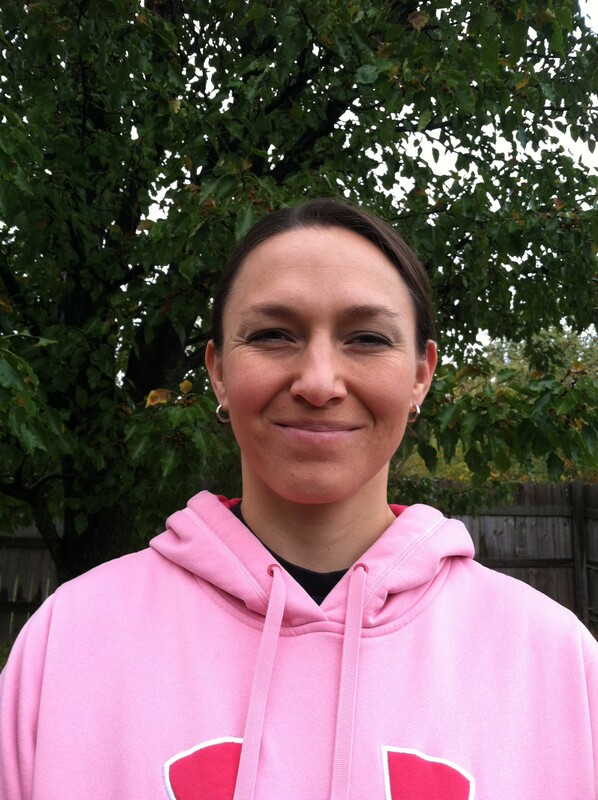 Andrea graduated from Fort Hays State University with a degree in Criminal Justice. She loves all animals, but has a special place in her heart for sloths. While Andrea’s favorite animals are the very slow sloths, her life is anything but. Andrea loves to travel, go on cruise trips, and see the world! But nowhere too cold, Andrea is one of those people who are always too cold. So I guess you could say that just means she’s always cool. But when Andrea is traveling she makes sure to try some of the best foods she can find. Especially when it comes to tacos. Andrea could eat tacos, like, three times a week! Oh wait…she already does that. Jacob was born and raised in Omaha, Nebraska. He's a graduate of Creighton University and holds a bachelor degree in Political Science and International Relations that he earned in 2014. 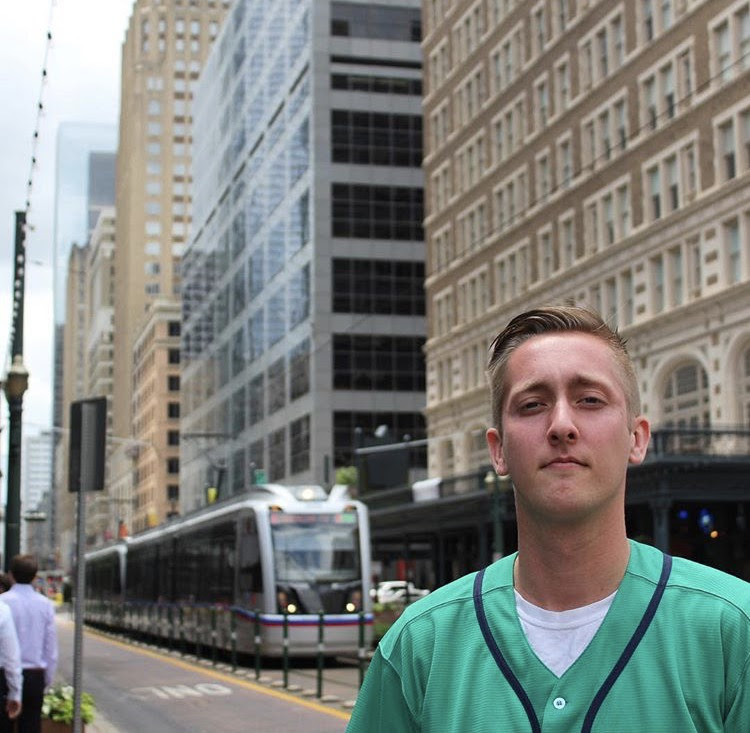 Prior to working at Validity, Jacob worked as a Transportation Manager in Omaha. 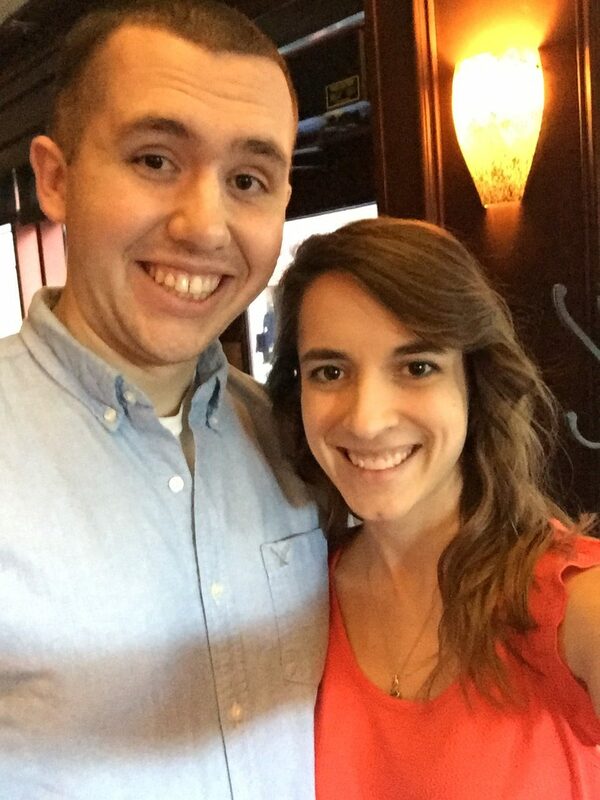 He moved to Kansas City with his wife, Hope, in 2016 for a great career opportunity for her. Jacob says that the move turned into an amazing career opportunity for him as well (aww shucks). 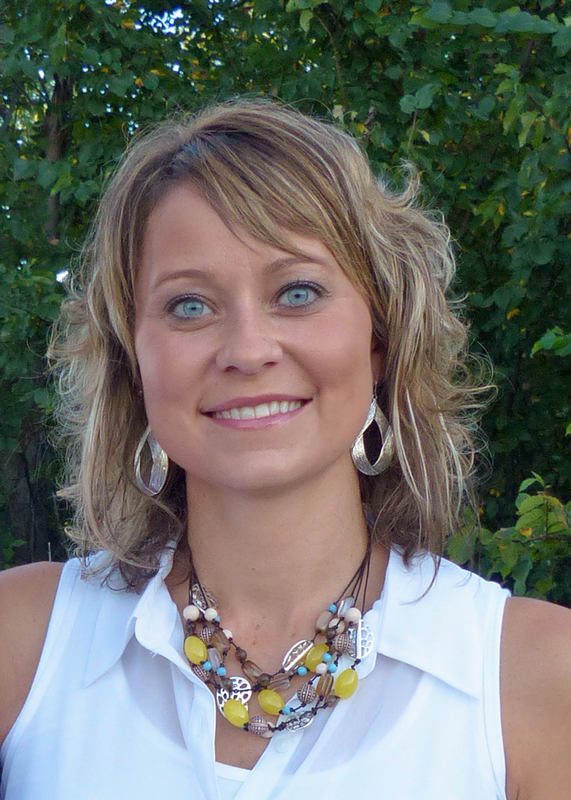 Tammy was born and raised in a small town in northeast Kansas. She is a graduate of Kansas State University and has been living and working in the Kansas City area for over 20 years. Tammy and her husband of 30 years have four children (two girls and two boys) and two (amazing) grandsons. 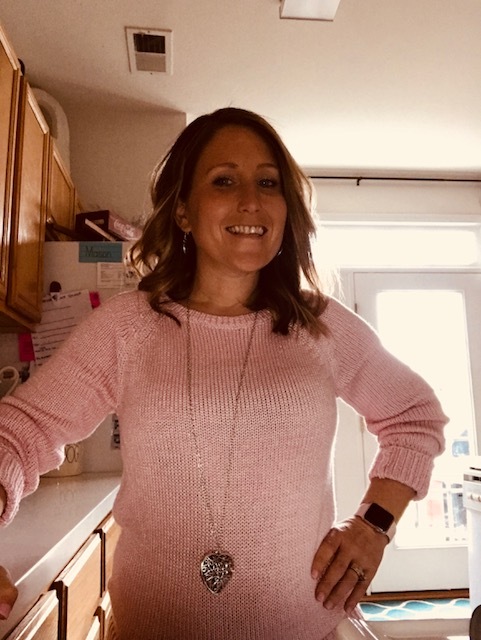 She began her Validity journey in February of 2011 and loves not only the challenges that come with the job, but also the feeling of family from within the company. 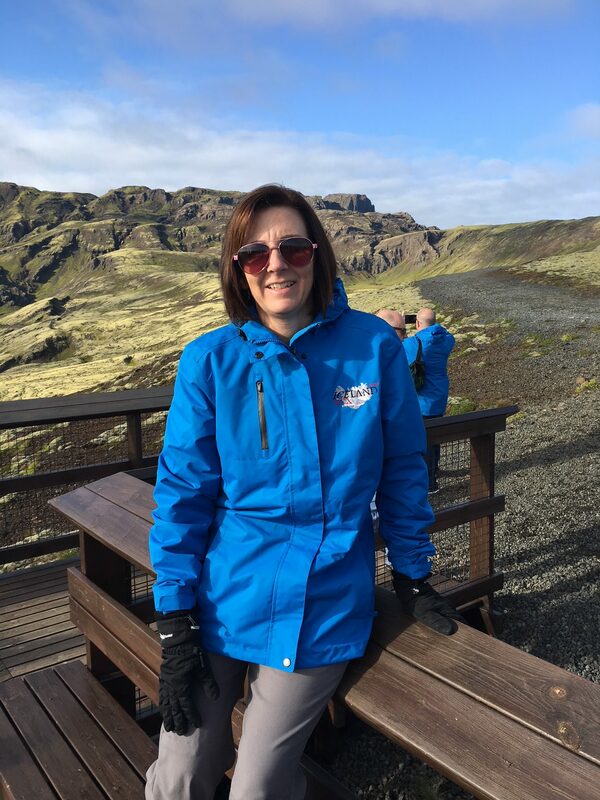 Tammy is a self-proclaimed “Beach Girl”, but recently traveled to Iceland and was totally captivated by the country and can’t wait to go again! She is an avid sports fan and enjoys cheering for the many professional teams in the KC area in addition to her beloved KSU Wildcats. 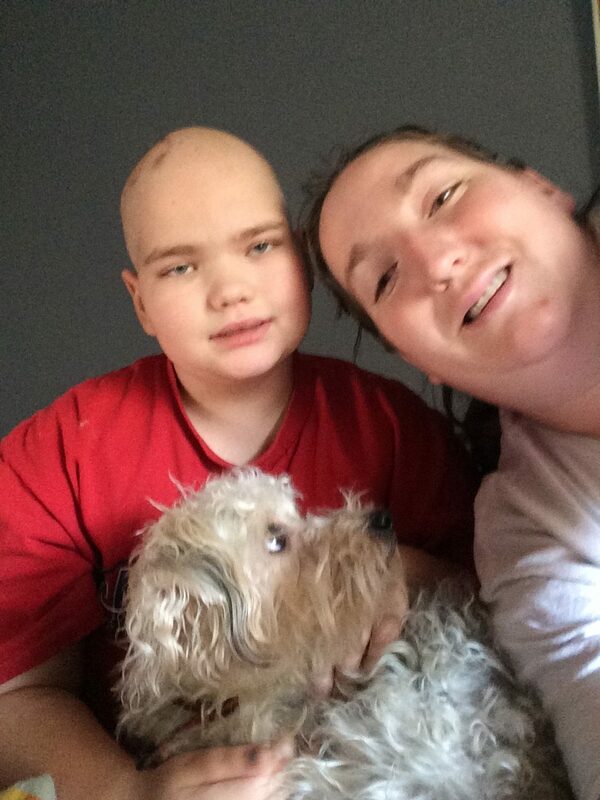 Tammy loves spending time with her family, as well as gardening, baking, traveling, and reading (and reading and reading). Lea is always looking to earn a smile from everyone she encounters, believing that a smile can change a persons day. Her 6 year old son Hendrix, is her life outside of work. They have their fun singing, dancing, shooting each other with Nerf guns, battling on Playstation and watching movies.The always too short fall season is her favorite, as it is the best time for walks. Lea has also taken in a homeless kitty named Tony, to love and fatten up. Rita is from Tulsa, Oklahoma. She is a mother of two and has one grandson. 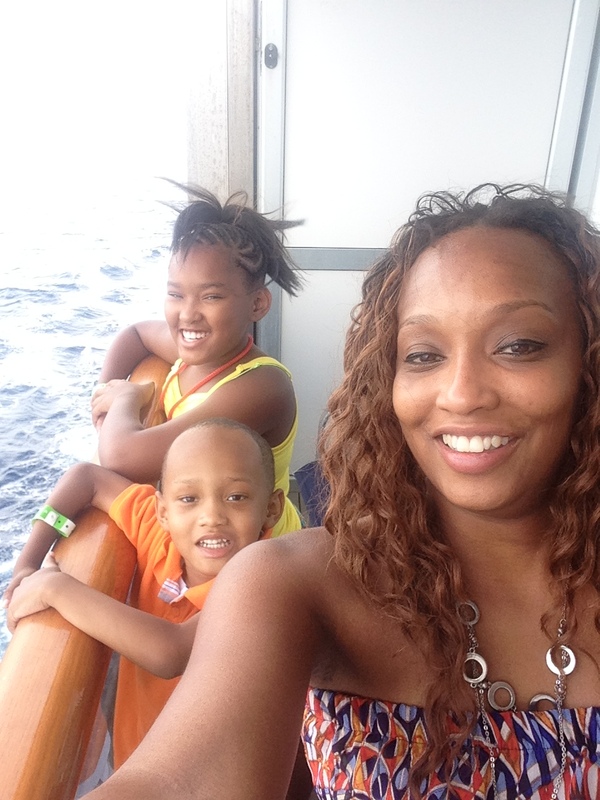 Rita loves to travel and being a grandmother to her one and only grandson, Kaiden. Her favorite quote in life is " A good laugh and a long sleep are two of the best cures for anything." Victoria has been married to her awesome husband for 17 years and has 2 daughters, one is 16 year old daughter who she absolutely adores, and the other passed away at the age of 11 from cancer. But she can’t leave out the other two loves in her life, her two dogs, a Yorkie-Poo and a Beagle-Blue Healer mix. When Victoria isn’t spending time with her family, she loves spending time with her friends in the great outdoors! Especially when it’s nice weather. When Victoria likes to kick back and unwind, she enjoys putting puzzles together. Guess you could say she is a specialist in that too! Rebecca, or "Becca," grew up in Missouri’s state capitol, Jefferson City. She graduated from Benedictine College in Atchison, KS with a degree in Mass Communications. 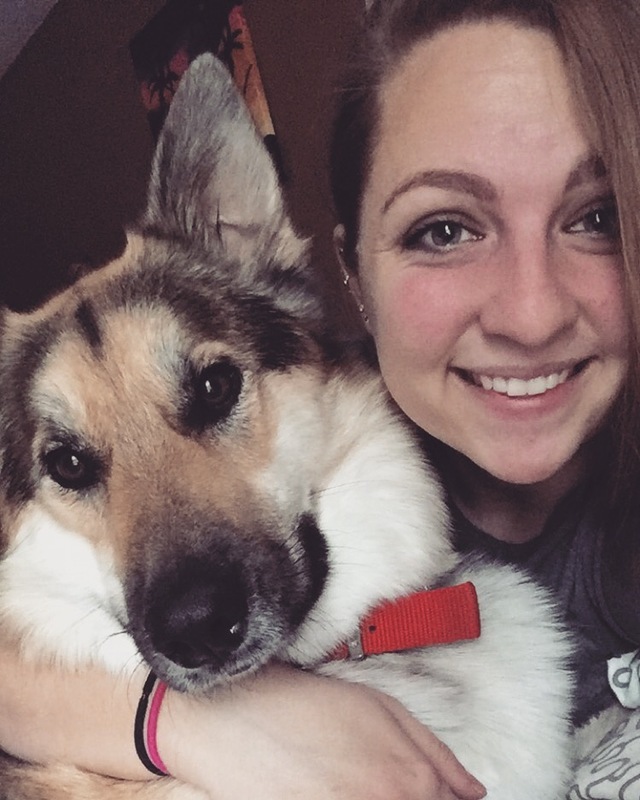 Becca is a proud cat mom to Gouda, and will be the first to clarify that being a ‘cat lady’ is actually cool. Cheese pairs well with wine, (hence her cats' name)— Becca is a self-proclaimed wine connoisseur and her favorite way to relax is reading from her extensive collection of Archie comics she’s been collecting since age 6, #TeamVeronicaLodge. Joseph, or Joe as he prefers to be called for some reason, is the oldest of six children (five brothers and one sister). This familial structure could have gone terribly wrong and made Joe a terrible, jaded human being to be around. But somehow, the opposite happened as he is consistently recognized as one of the kindest employees at Validity. A week after his 16th birthday, Joe was diagnosed with stage 3 Hodgkin’s Lymphoma, which he proceeded to beat the hell out of. 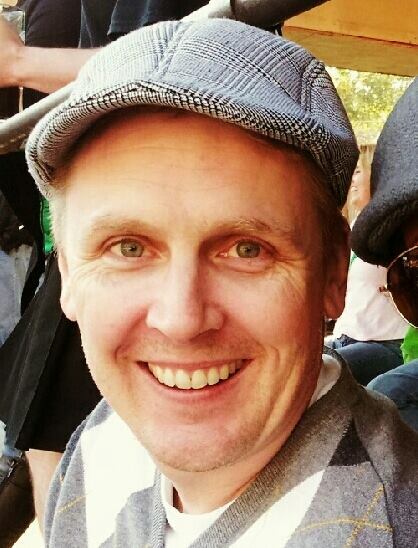 Being a cancer survivor changed his perspective on life. He met his wife in college (he actually remembers the day they met, February 22, 2004) and has been happily married for seven years. He has life goals to be a great husband and father while living in the present. If we at Validity don’t see one of Joe’s inspirational quotes on our IMs in the morning, we start to worry. Donielle DeCow, born and raised in Southeast Kansas. Married to Tim, a tried and true country boy, for 13 years. Three kiddos, Gracie (10), TJ (5), and Kadie (2 going on 22), who currently thinks she is a cat "meow." 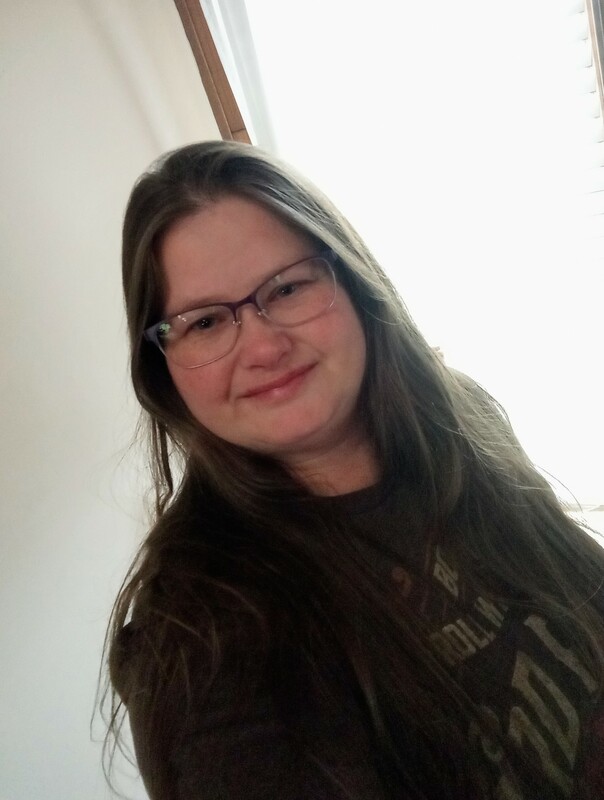 Received Associate of Applied Science in Early Childhood Education in 2008, previously perusing a Bachelor's Degree in Early Childhood Education through Ft. Hays State University until Kadie (a.k.a. our little surprise) came along. After initially attending the University of Miami on an architecture scholarship, Darren quickly turned to his true passion: business. Graduating with a degree in finance, he continues to be an avid Hurricane sports fan and serves on the University of Miami Alumni Association Board of Directors. After a stint with the Federal Bureau of Investigation, he joined a private Kansas City-based company for which he created a Background Screening Division. With the support of his wife, Noreen, he acquired the business unit in 2004 and rebranded it as Validity Screening Solutions. 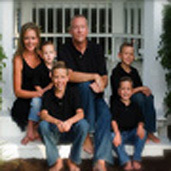 Darren and Noreen have been blessed with four boys: Reagan, Preston, Beckett, and Fletcher. He enjoys spending time with the widely divergent interests of each, but still can't bring himself to camp outside. During the summer, the family enjoys spending as much time as possible at the lake. Although Darren enjoys many types of music (may be stuck in the 70's and 80's), he cannot play a single instrument. His one remaining hobby is beer can collecting, which he started at age 12 (don't ask). He's amassed over 2,500 cans from all over the world. Trisha started working for Validity in February of 2017 and loves working with such an awesome team! She has three children: her oldest is in his 4th year of college, her daughter is recent high school grad and will be moving onto a 4 year university and her youngest is an upcoming Junior in high school who plays football and baseball. She is a busy mom and wife who loves cheering them on from the sidelines. 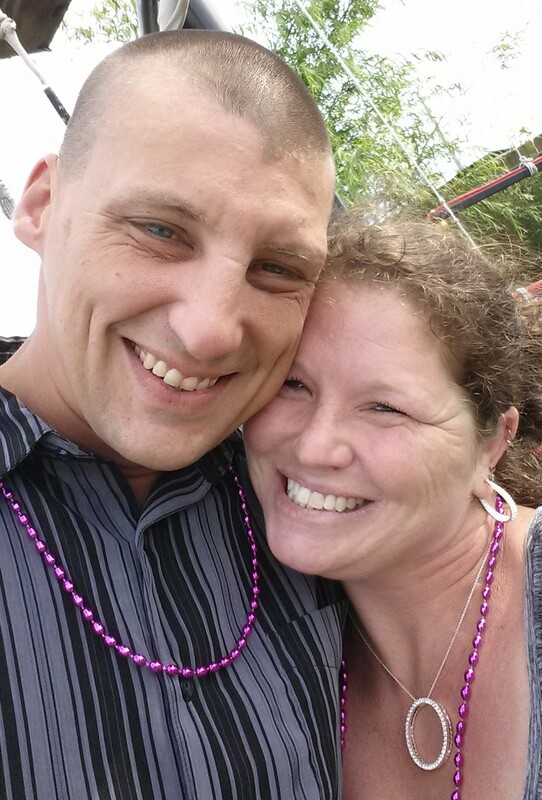 Trisha has been married to her high school sweet heart/retired Marine for 21 years and has lived all over the world as she followed his career as a Marine. She has worn a lot of hats during that time including Director of Operations and Buyer, Girl Scout Service Unit Leader, Military Lifestyle Trainer and Leadership Development Team Lead to name a few even though she studied education and had planned on becoming a teacher. She is passionate about capturing life on film and dedicates much of her time photographing her family and friends for fun. Her other obsession is caring for the lost and stranded 4-legged creatures. She has four adopted dogs, 2 adopted cats, 3 foster kittens and a guinea pig at the moment and always has room for more although her husband would surely disagree! Chris, our Director of Strategic Initiatives (fancy title for “Boss That Knows All”) has been with Validity for years, and has held many positions. Chris’s life began on the road. His first four years of education were at four different schools, but in the fourth grade his family landed in the KC area for good. After high school, he followed his father’s footsteps to study at the University of Iowa, where his family has owned season tickets for almost half a century. His first job after college took him on the road again (editor’s note: I suspect he worked in a traveling circus). He has seen almost every state in the US and has done his best to hit a museum in each state (strange story about the Trash Museum in Connecticut). 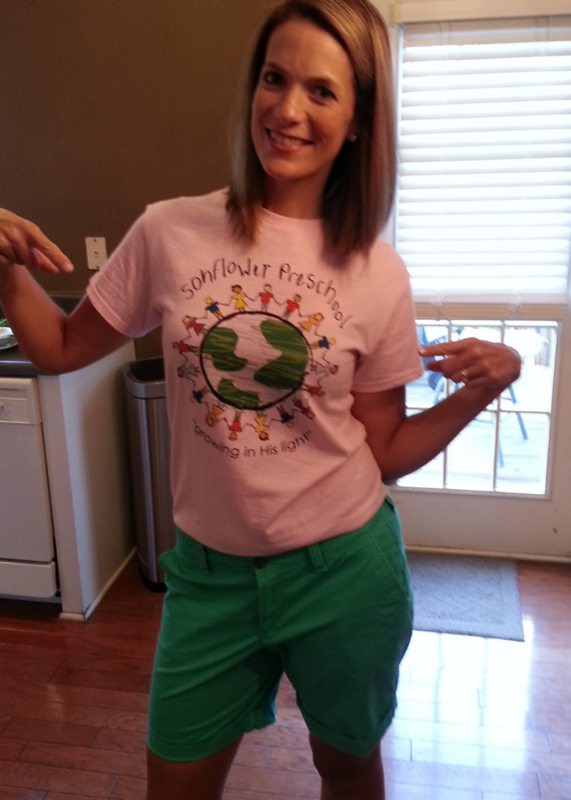 Tavia was raised in the South and moved to Kansas in the middle of my K-12 education. She marriedher High School Sweetheart and they have one son. Her life is very busy and she wouldn’t have it any other way. When she is not working or doing church things, she loves to have as much family time/adventures as possible, such as camping, festivals and traveling. 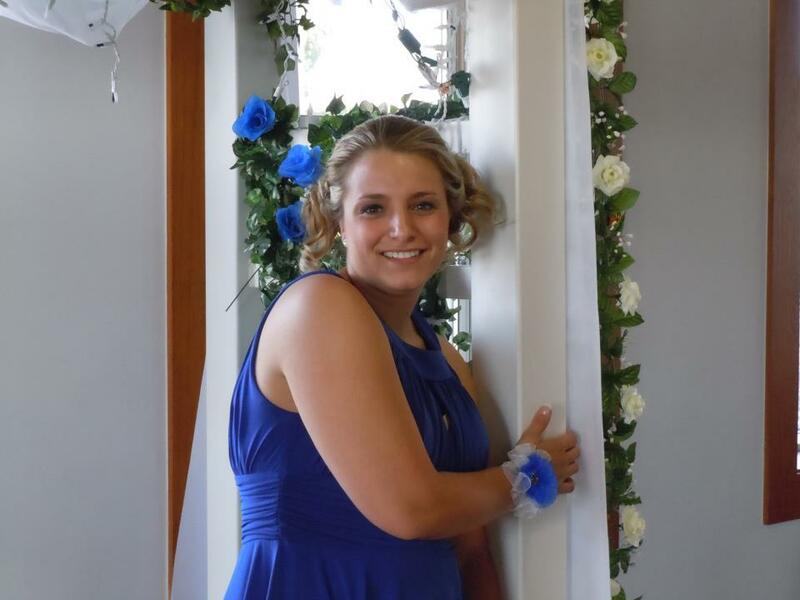 Tavia also loves to volunteer for the Cancer Society and has a team every year for their biggest event, Relay For Life. Her son was also a NICU baby so we love to shower New Mommy and Daddy’s with love and special treats to make it a little more easier. Tavia loves to paint, sew, and write, play around with her camera, basically anything creative. Her guilty pleasure is watching Gilmore Girls and reading. Tavia loves to read anything she can get my hands on. She also has way more books then she will ever have time to read but still will buy plenty more! If she can stay focused enough, maybe one day she will write and publish her own book! 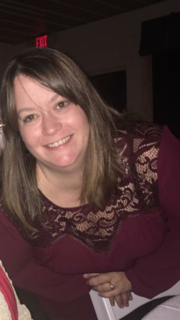 A Midwest native (a trend for some of our employees), Heather grew up in Oklahoma City, where she graduated from Oklahoma Christian University with a degree in Biology. She uses this degree daily as she tries to better understand what’s going on in her family’s heads. 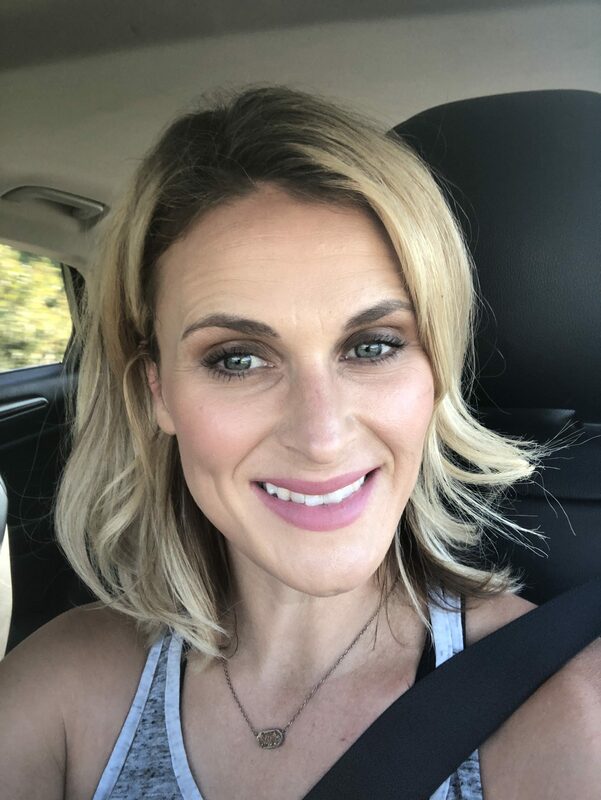 She and her husband Josh have three children: Dustin, Jodee, and Dylan, who take after their mother in their active lifestyles. Heather loves to manage their busy lives, from baseball to basketball to cheerleading along with piano recitals and more. Heather is an avid gymnast of 31 years (editor’s note: Haven’t seen her round off back handspring back pike, but I’ll take her word that she can do it). Heather and her family recently moved to Louisiana where the culture, jambalaya, and boiled peanuts are an incredible new experience for them. Trevor started working for Validity Screening Solutions in May 2017 as a marketing intern. He is currently pursuing a Bachelor’s Degree in Sport Management and a minor in Marketing at MidAmerica Nazarene University. He plans to graduate in the Fall of 2018. He is an avid sports fan; playing soccer all the way from 4 years old to his sophomore year in college, football in high school, and intermural basketball. He loves a wide variety of music and believes that music is the best way someone can express themselves. His favorite movies include Top Gun, Good Will’s Hunting, Nightcrawler, Catch Me if You Can, and anything with Leonardo DiCaprio. Trevor can also eat his weight in food, anything from BBQ to Burgers to Mexican to Chinese… As long as there is food he will be there. 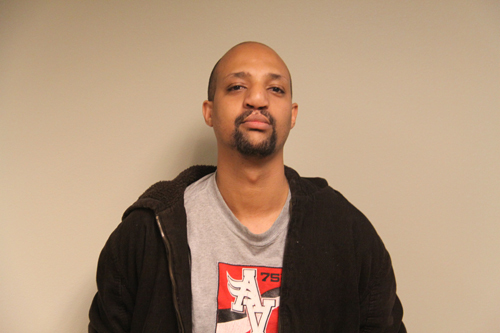 TJ was born in Ethiopia and immigrated to the US at the age of eight. He loves reading books and enjoys traveling. He event lived for a spell in Argentina - did we mention that he's fluent in Spanish as well? Lucky for all of us, there are actually two TJs out there as he has an identical twin brother. TJ's all about family and friends. He's a graduate of KU and loves playing basketball (as any good Jayhawk should). As many of us in the office know all too well, comedy is a big part of TJ's life. He enjoys watching comedy and stand-up in his free time and always takes the time to display his latest piece of comedic gold. Michelle is a Kansas Princess - born and raised in the Olathe/Gardner area with a four-year stint in Baldwin City where she earned her Bachelor’s in Psychology/Sociology. She uses her degree every day with her husband Rich and three kids: Brianna, Jackson, and Praew, an exchange student from Thailand. She enjoys camping, reading a good book, and learning about different cultures, especially their foods. You really know a culture once you know how they prepare their chicken. She loves everything Kansas - Royals, Chiefs, barbeque, the weather extremes from snow to sweltering heat, and trucks speeding down gravel roads. She hopes to one day travel the world - hitting up places like China’s Great Wall, the Egyptian pyramids, and St. Basil’s Cathedral in Moscow. Chrystal is what you would call a Jack-of-all-Trades. She works full-time, served in the US Army, and is “Mom” to two lovely children. Her 11 year old daughter T’Mya takes after her mother in her love of fashion and her son, Towan Jr just turned four and is a typical boy, always getting into trouble. Being born and raised in the Kansas City metro, Chrystal has grown to love what the city has to offer - even though she would love to live where it never gets cold. In her spare time, Chrystal loves to cook up new culinary masterpieces based on her idol Guy Fieri’s shows (haven’t seen her with frosted white tips just yet). You may never guess this, but Chrystal used to compete with a KC dance crew that battled other local groups. Watch out you Stanky Leg fans, Chrystal can still be spotted on the dance floor busting a move every now and then. 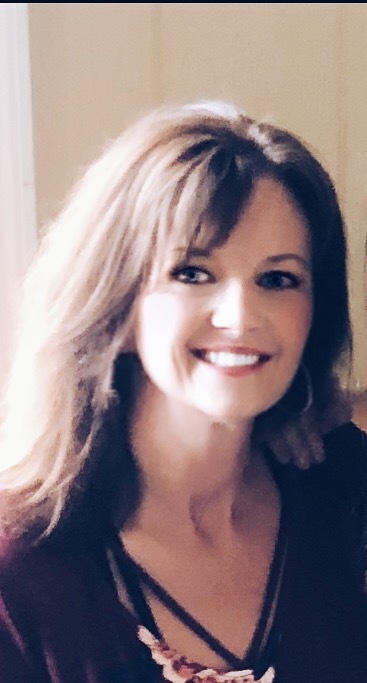 Jennifer Hale is a Verification Specialist with Validity Screening Solutions. 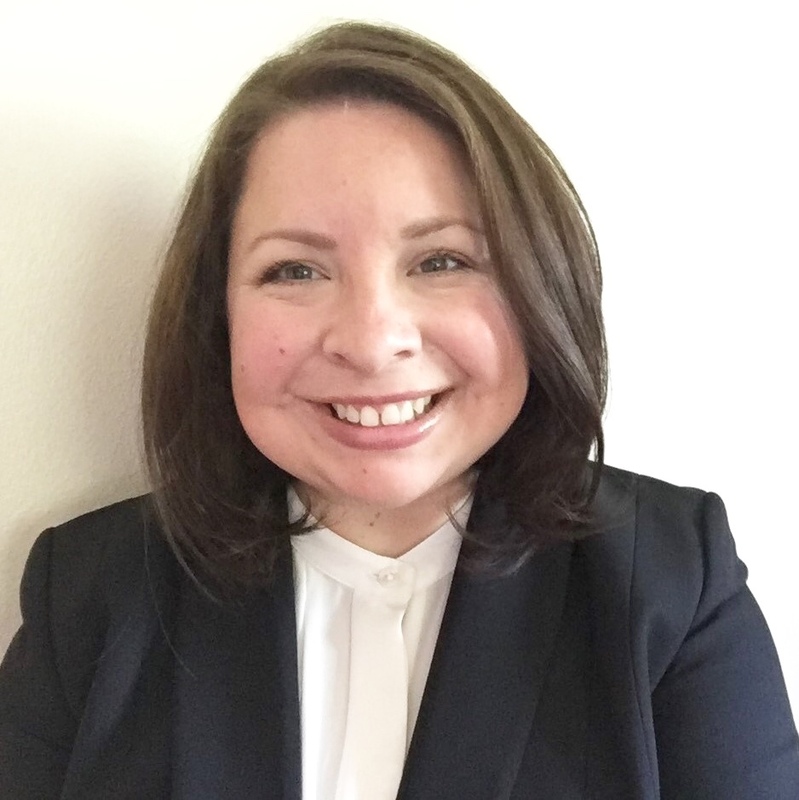 In this role, Jennifer verifies professional and personal references as well as education, employment, credential and Department of Transportation orders. 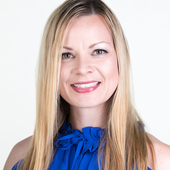 Jennifer has more than six years of experience in the verification field. A big believer in volunteering, Jennifer supports the Rockwood Summit High School athletic teams. She can often be found in the stands cheering her son on at his wrestling meets or courtside at her daughter’s volleyball matches. When Jennifer is not supporting her children at a sporting event, you might find her and the family camping or she just might be lost in a really good book! Ana was born and raised in Albania. She has been living in United States for 11 years. She has three girls, a 9 year old and twins who are 6 years old. She loves to travel, cook, enjoy walking and spending time with her family and friends. She graduated with an English major degree, later on went to Lithuania to get a Bachelor's degree in Business Administration. She loves foreign languages, different food and experiencing different cultures. Loves working at Validity, people she works with and have known here are like a family, she does not consider this as a work! Kim is currently studying Law & Society at the University of Kansas. 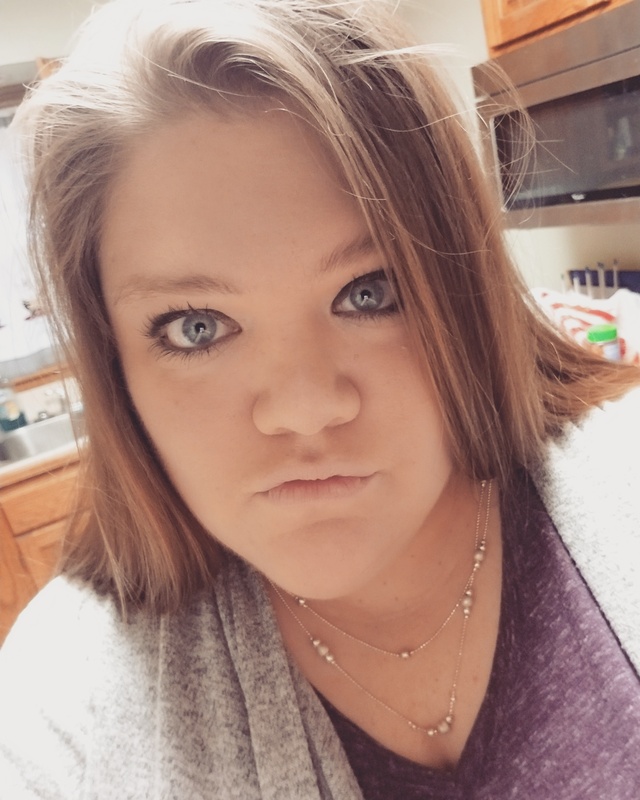 She graduated with her Associate degree in July 2018 from Johnson County Community College. Kim has previously worked in Journalism, and tries to stay up-to-date on local news everyday. Eventually, she wants to become a lawyer with a focus in employment law and criminal law. When she is not working or studying, Kim is either watching a KU game, going to the gym or exploring Kansas City with her friends. Chirs has worked for Intraview Solutions on two occasions since 2007. She has been married for 26 years and currently has two daughters in college. If all goes well, she'll have a Nurse and a CPA in the family. Her part time position allows flexibility for her to travel to watch her younger daughter play college volleyball. She loves the game of volleyball! She also enjoys decorating and overall shopping in general. 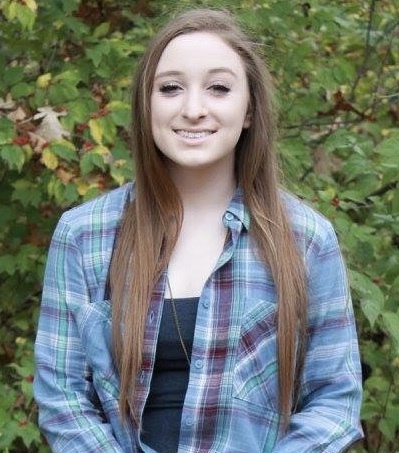 Carly started working for Validity Screening Solutions in January of 2015. She previously worked for Validity’s sister company, Intraview Verification Solutions. She has three wonderful and wild children, an eleven-year-old boy and 7-year-old boy/girl twins, who literally do not ever stop. She has been married to Jared for 12 years (plus five while he was dragging his feet). She received her Master’s degree from the University of Central Oklahoma in 2007 and Bachelor’s from Oklahoma Christian University in 2004. She is active in her church and mothers of multiples club. She enjoys working out and teaches a kickboxing/MMA type class at the YMCA. She also likes repurposing/decorating, crafts and getting good deals. She is very thankful for her position with VSS. 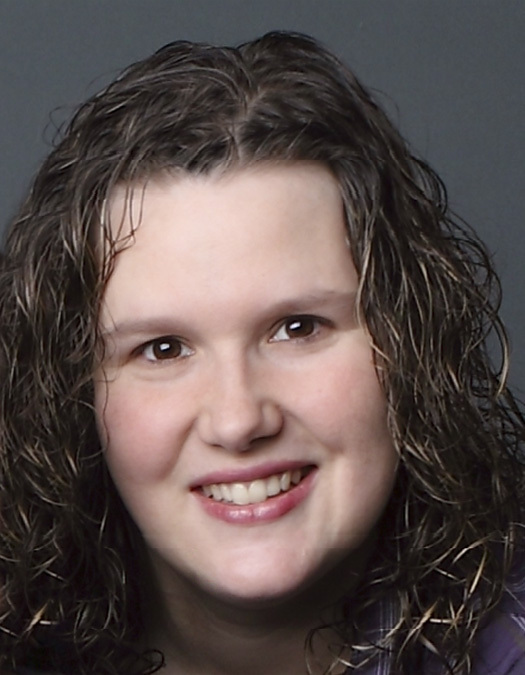 Jenny’s journey with Validity began in 2005 doing contract work while attending college. She was attracted to the industry and became part of the Validity team in June 2007. She is an alumna of Oklahoma Christian University receiving a Bachelor of Business Administration degree. Jenny is a Johnson County, KS native who grew up in the church. 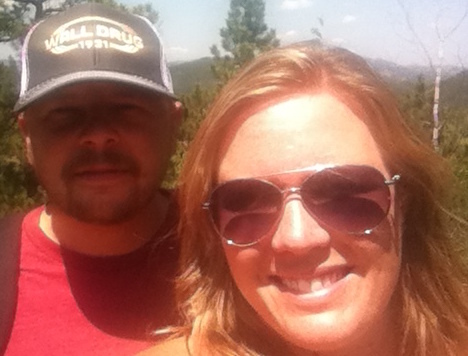 She is married to her wonderful husband, who doubles as an incredible handy man (good thing too, because Jenny has quite the honey-do list). With three daughters and a son, every day is an adventure and every week requires at least one trip to the grocery store. Jenny is not a bookworm and will use every excuse to steer clear of movies and computer games. She enjoys jigsaw puzzles, being artsy, baseball, and sipping a Dr. Pepper always puts a smile on her face. A Chihuahua named Willie was Jenny’s childhood pet and someday, if life ever slows down, she’d like to get another one. Jessica started working for Validity a few months ago. She learns something new everyday and loves the work from home aspect. She has been married to her husband, William, for 18 years and they have 5 children ( a 13 year old Daughter, an 11 yr old son, 8 year old twin boy/girl and a 6 year old daughter.) Life is EXTREMELY busy when her kids are home from school. Before Validity, she taught 2 years olds at her Church Preschool. (Yes, she love kids!) but prior to having children she worked as a hair color specialist in Atlanta for Don Shaw (DASS). Her hobbies include working out , drinking coffee and binge watching Netflix. 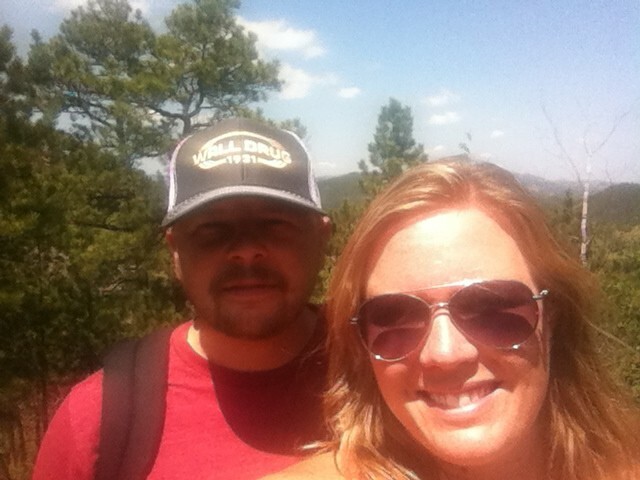 I was raised in Tulsa OK, I am married to my best friend. We have 3 teenagers, and 4 little's ranging in age 4 years to 8 months. 6 dogs and a house full of crazy. We are a foster care home and have been for about a year. I started working for Validity In October 2017 as a Remote Verifier, then moved to DMS in April of this year. In my very limited spare time I like to read, I also enjoy going to wine tastings at our local Winery. But my true love is caring for the children and puppies in my care. 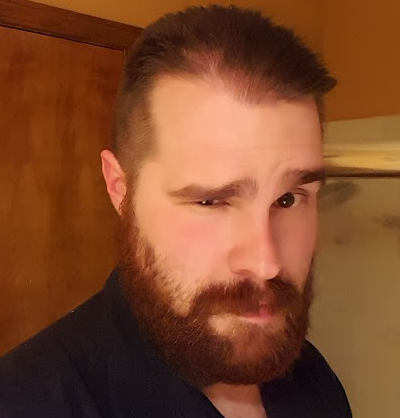 A Kansas City area native who has been raised on Chiefs football and Barbecue (with a capital B), Brandon Markway is a Midwestern man for life. When he isn't serving family members culinary delights from his own backyard grill, you can likely find him cheering on his daughter at a nearby soccer field. When he is able to capture a moment for himself it is not unusual to find Brandon lost in a comic book or far away in his headphones listening to Elton John or Otis Redding. Becky was born and raised in Kansas City, MO. She graduated from Olathe North High School and quickly set off to establish herself. She attended New Horizon’s Computer Training, Career Education Systems (Real Estate – she’s the one we go to for a grip on the area’s housing prices) and Johnson County Community College. She jumped at the opportunity to work for Best Buy and was the youngest Operations Supervisor at that time. She quickly grew tired of the long hours and made it a point to focus on the financial aspects of business, which leaves her here today as our Accounting Manager. She enjoys spending time with her son, Tyler, whenever possible. She is an avid animal lover and supports all adoption efforts - visiting as many facilities as possible and adopting four pets of her own. She also supports the American Cancer Society and American Heart Association as she has lost loved ones to diseases she now helps to fight. Emily is a Kansas City native and a proud K-State Wildcat - graduating in 2008 with a B.A. in Journalism and Mass Communications. Raised a die-hard Parrot Head, and spending her childhood summers at the beach, Emily enjoys listening to Jimmy Buffett and plotting ways to eventually live by the sea (Update: process is still in the diagnostic stage, she’s pretty landlocked in Kansas at this point). She has what some (most) would consider a very serious addiction to French fries, and shares with no one. It’s safe to say her son Jack, daughter Mae, and husband Jeff have gone through some potato withdraws at dinnertime. She enjoys watching K-State football and sports in general even though she considers herself “athletically challenged.” The only trophy she has (ever) proudly earned was for practicing the most in her piano classes as a child. Jeff Matlock is Validity’s Business Development Executive! But another title he would answer to is “Validity Legend”. 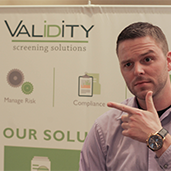 Jeff has been with Validity Screening Solutions since 2009, and has had experience with a little bit of everything. During Jeff’s time here with Validity he has worked as a Customer Relations Specialist, Quality Assurance Specialist, and now he’s on the Business Development Team. But when Jeff isn’t rocking it at Validity he loves spending time with his wife and two children. Especially if he’s spending time with his family while enjoying a cold beverage and taking in the sun on the beach. Boy how sweet! Speaking of which, if you ever get a chance to go out to lunch with Jeff you can expect for him to order something sweet, and something fried. But it’s even better if he can find a meal where he gets both! Chicken and waffles, anyone? 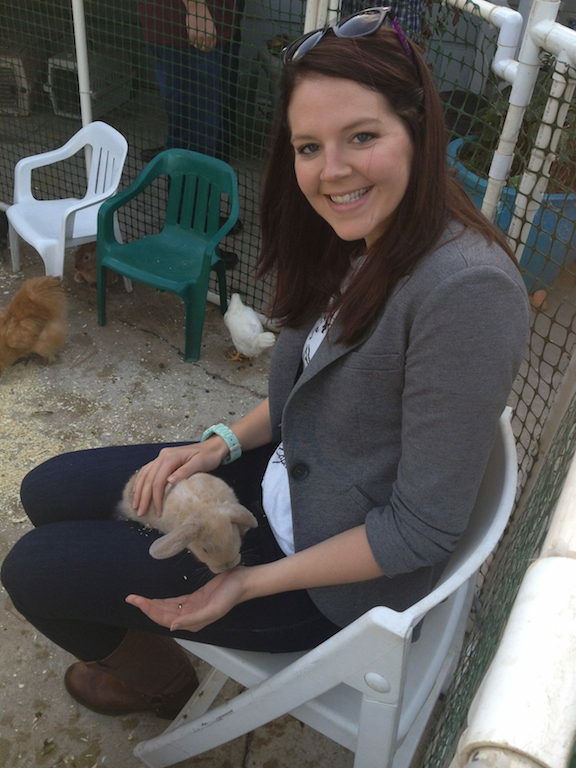 Born and raised in Shawnee, Kansas, Hannah is a graduate of Pittsburg State University. She earned her degree in Technology with emphasis in Graphics Management in 2016. 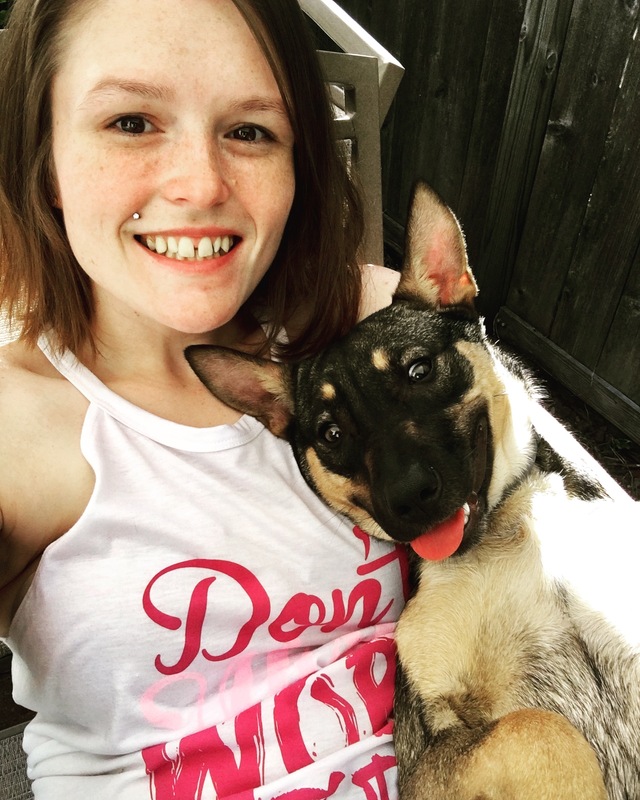 She's a self-described overly proud dog mom to a German Shepard/Husky mix named Nala. Hannah is all about the outdoors. She loves the mountains and takes an adventure whenever she can. 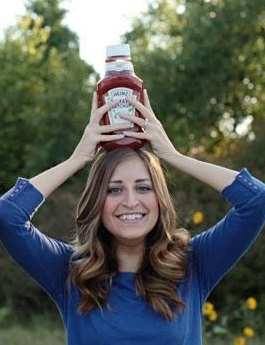 She's a die-hard Corn Husker fan and still finds room to fit in her obsession with the Kansas City Royals and Chiefs. Shuresa is a born Kansas girl who has equal appreciation for being both a homebody and a world traveler. Most days she spends her time playing sidekick to her toddler in his various daredevil adventures with his dog, Frankie. She and her husband Casey are usually elbows deep in a house renovation project - pretending they have a show on the DIY network when they really have no idea what they're doing. Though free time is a bit of a foreign concept to her, she enjoys cooking, reading, making lists of things she'll probably never get to, photography, hiking and avoiding large (and small) piles of laundry. Her life's ambition is to one day have a hobby farm that doubles as an animal rescue and spend her afternoons cuddling cows. Shannon is a Kansas native, raised in Shawnee, KS. Graduating from Shawnee Mission Northwest. Shannon is a professional tourist, traveling the United States and Europe, vacationing in Alaska, Chicago, New York City, and Colorado. 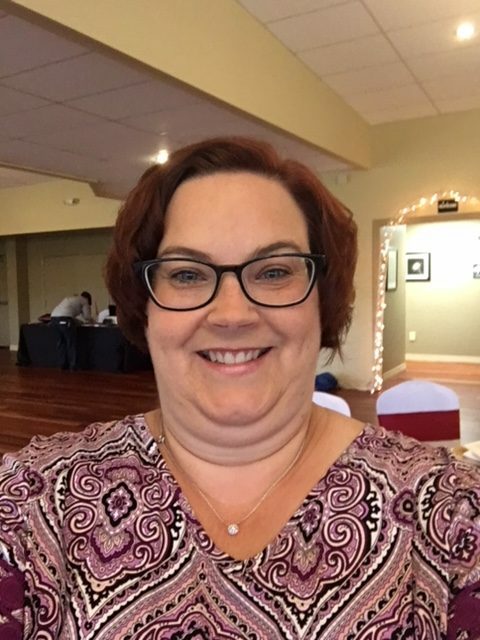 After receiving a degree in Administrative Assistance with a Medical Emphasis she got a job with the Overland Park Municipal Court, which she says, set her up for an amazing position at Validity. In her downtime she enjoys spending time with her friends and family, candlelit dinners, and the clichés of long walks on the beaches of… Kansas. 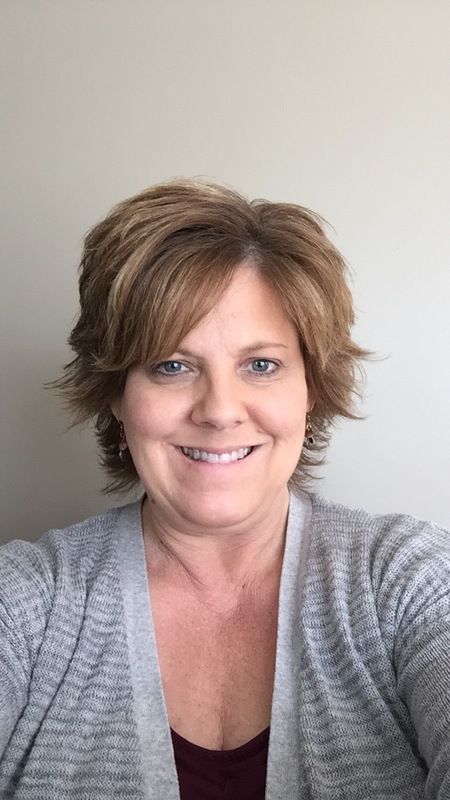 Cathy Newby is one of Validity’s Verification Specialists! She is married to a phenomenal husband and has 2 teenage children who she absolutely loves! But she can’t leave out the other love in her life, the Kansas City Royals! But when Cathy isn’t enjoying a good Royals game or spending time with her family she loves to read and write! She loves it so much that Cathy has achieved an awesome accomplishment of becoming a self-published romance author! So do you ever need love advice? Then Cathy has you covered! Kami Patterson has been a Verifier since October 2012; and became Quality Assurance 11/2016. She married her high school sweetheart at 18 and became a "Semper Gumby" Marine Corps Spouse. Home is where the Marine Corps sends them. Her two children keep her on her feet with numerous after school activities. She currently volunteers in a Marine Corps Battalion as a Family Readiness Assistant. Her hobbies and interests include, mountain biking, hiking, long walks (especially on a beach), and running but, only if it's a very short distance. She also likes to bake and spend time with her family. 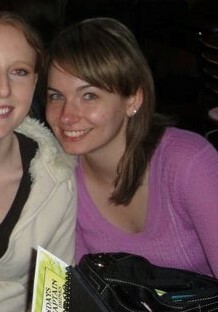 Kaymee began working at Validity in 2009. While not working, her time is spent with her husband, two sons, two dogs, and two cats. 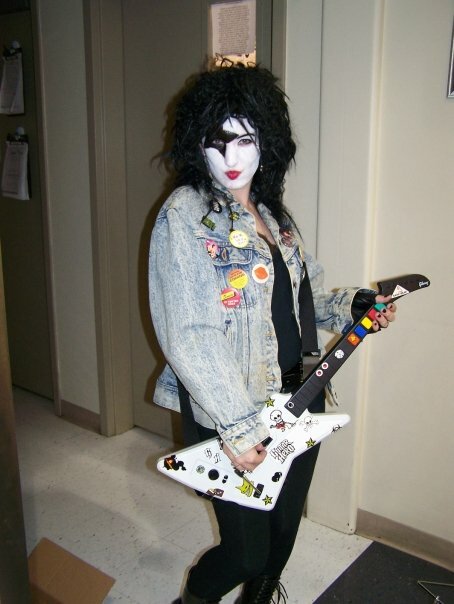 The music on her iPod ranges from “this is the greatest song ever” to “don’t tell anyone what you heard here.” She is currently next in line to marry Nikki Sixx of Motley Crue. Much like the Energizer Bunny, Kaymee’s batteries keep running as long as she is properly nourished on her diet of pizza and Red Bull. Kaymee hopes to one day live on a gator farm and follow the footsteps of her childhood hero The Crocodile Hunter (her Aussie accent needs work). Megan was born and raised in Kansas City! She has been huge a Jayhawk fan ever since she was little. However, transitioned to the "better side" when she attended Kansas State University in 2013, and graduated in May of 2017. She has a passion for writing! She has published a few articles for local newspapers around town. 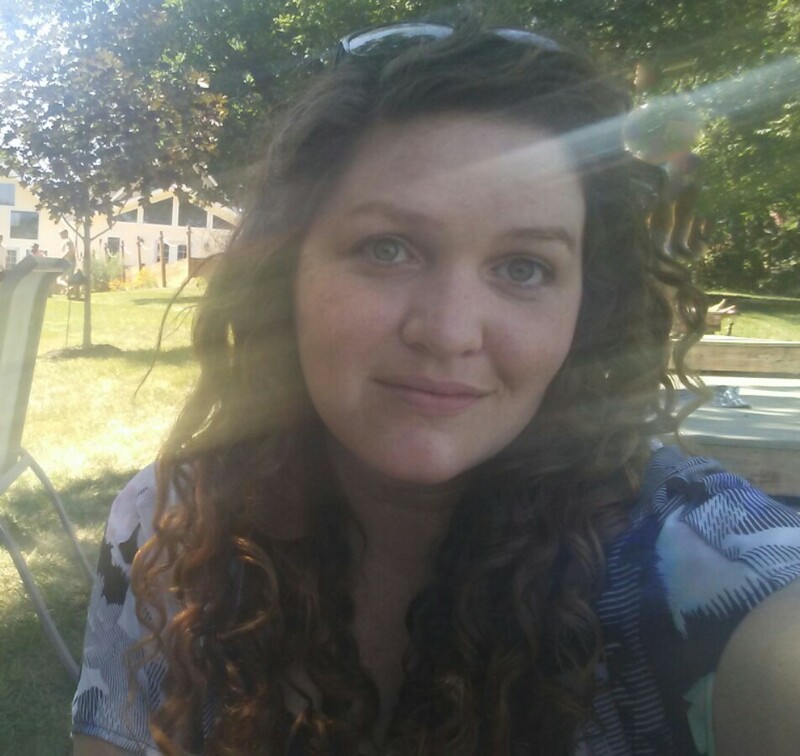 Megan joined the Validity Team in late May of 2017 and is loving every second of it, especially the people! She would love to travel the world and write about her experiences, maybe even turn it into a book. Megan is the middle child of the family, with an older sister and younger brother who both love to pick on her. She is a huge decorator, planner, organizer, very type A personality, and a big perfectionist. She loves skiing, online shopping, going on vacation, boating at the Lake of the Ozarks, and taking very long naps. Luma Sonnier is Validity’s Onboarding Specialist! Luma was born in a small town in Mississippi. After living there for just a few years, her family decided to move to Kansas City, and she’s been here ever since! Luma has had a very diverse background working in the fields of nursing, law, and now continuing her education in business management. But when Luma isn’t tackling “adulting”, she’s being the best wife to her husband and a phenomenal mother to their two children. While Luma loves spending time with her family, that’s not where her passions end. Luma loves event planning, various aspects of fashion, traveling, and anything involving comedy. Have a good knock knock joke? Good! Because Luma wants to hear it! Amy started at Validity in 2015 thanks to her great friend Jen Hale who she has been friends with since middle school. She has been married for 19 years, (She has known her husband since they were in High School (different schools) She ran into him at an after party of her 5 year High School Reunion and they have been together ever since.) 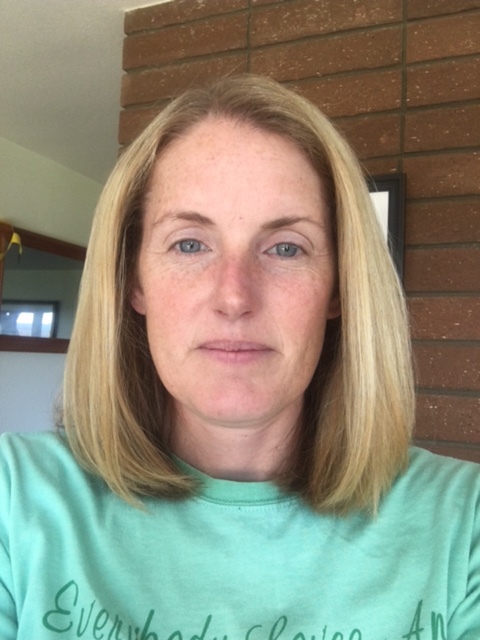 Amy and her husband have 2 beautiful daughters, 2 cats (not by her choice, she is not a pet person) Favorite animal is a Dolphin, She loves all things beach, ocean, and water. But she will never go back to Sea World or do a pet the dolphin experience, she doesn't believe animals should be in cages for our entertainment. My dream vacation is to go to Hawaii. When she is not working, her kids and husband keep her busy and she also takes care of her parents running errands, taking them to appointments etc. Reading is her favorite hobby as she could do that all day. Amy also enjoys walking/hiking and painting ceramics. Brenda joined the Validity team in late 2014 and has found the work enjoyable - the rush of hunting down records and digging up details that help the team put together a puzzle for every single applicant. Born in New Mexico, she was raised in the southwest (Midwest accent hold strong). She served three years in the Army Military Police out of high school where she met her husband of almost 40 years. 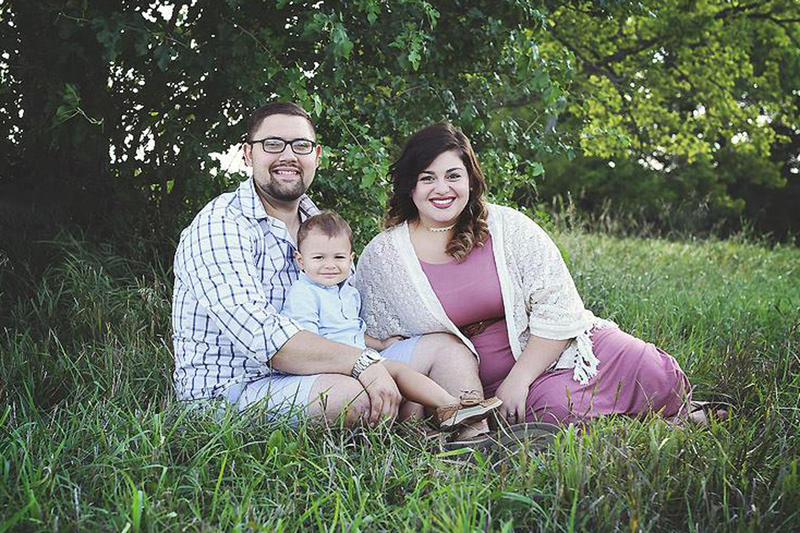 After marrying the love of her life (it puts Jerry Maguire to shame), she moved to his hometown of Kansas City, raising their 3 girls who are out on their own in the world now. She’s had several part time jobs from selling Tupperware to delivering mail (we’re pretty sure there was a mention of Snake Oil Sales at some point). She’s trained horses and taught horseback riding for 23 years, but when she’s not being a cowgirl, you can catch her on her husband’s motorcycle or playing with her grandkids. Chanda would best describe herself as an average, ordinary person living an extraordinary life. She has been married for twenty-six years to her incredible high school sweet heart, and together they have four children ranging from the ages of 21-13 years old. She is not one of those people who actively travels or goes and does what people might label "fun things", but she is happiest close to home surrounded by my family. A few hobbies that she loves to do in her spare time are cooking (the more challenging the recipe the more I can't want to try it), photography, embroidery, and running. Jacob grew up on a horse farm in Central Indiana where he played soccer at all hours of the day. After graduating High School he moved to Georgia to attend and play Division 2 soccer at Georgia Southwestern State University. 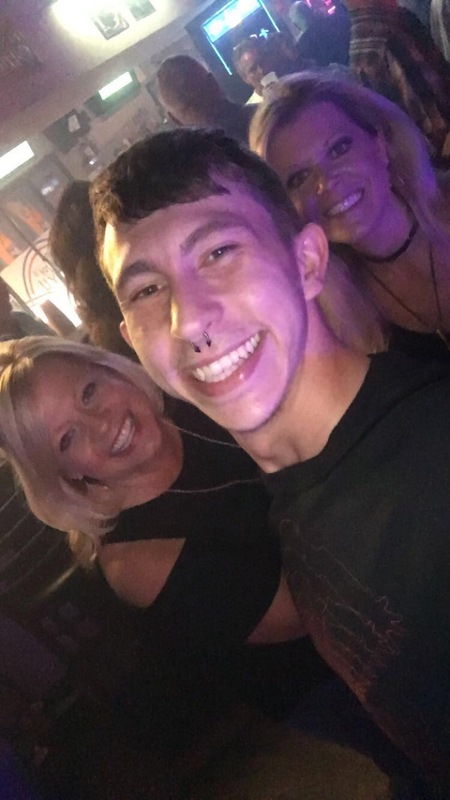 Jacob currently attends Georgia Southern University and is pursing a Bachelor of Science in Business Administration with a concentration Marketing. Jacob's favorite soccer team is Liverpool, go Reds! He also has 3 dogs who make every day a surprise! Andrea was raised in a very small town in Kansas called Westphalia, which has a population of less than 80 people. This is where traffic jams are caused by combines, horse and buggies, cattle crossings, and you may actually have to stop to allow a chicken to cross the road. 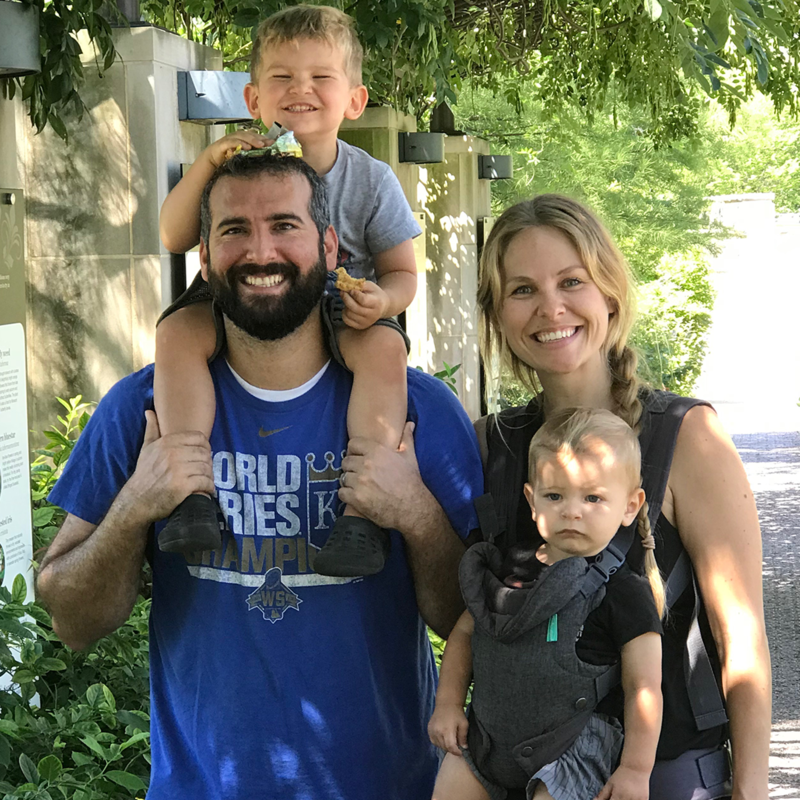 She now lives in Overland park, much larger population than Westphalia, with her husband Justin, and their two kids, Jaxon (10) and Emma (2). When she's not at work, Andrea spends her time with her family, busy with sports, playing outside, and spending time with extended family. She also enjoys bargain shopping - she never likes to pay full price, watching Harry Potter marathons, reading, fishing, and playing co-ed softball. 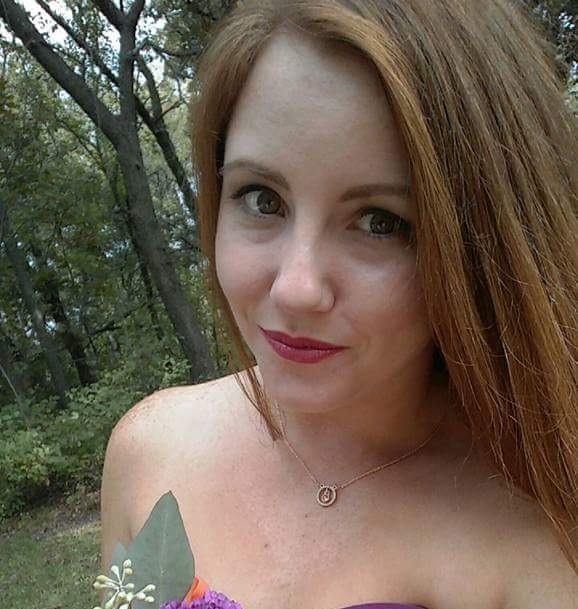 Jessica is a Kansas City native and a lover of all the 'finer things in life'. She is a graduate of Western Michigan University Thomas M. Cooley School of Law in Grand Rapids, Michigan. Yes – it is VERY cold there! When she is not researching the intricacies of the Fair Credit Reporting Act; poring over the Federal Rules of Evidence; deliberating whether the Constitution is a living, breathing document; or helping civil litigants gain access to the justice system, she is planning luxurious vacations and shopping online. Laura started working for Validity Screening Solutions in August 2016 after working for its sister company Intraview Verification Solutions for five years. She is the mother of three beautiful and spirited children. 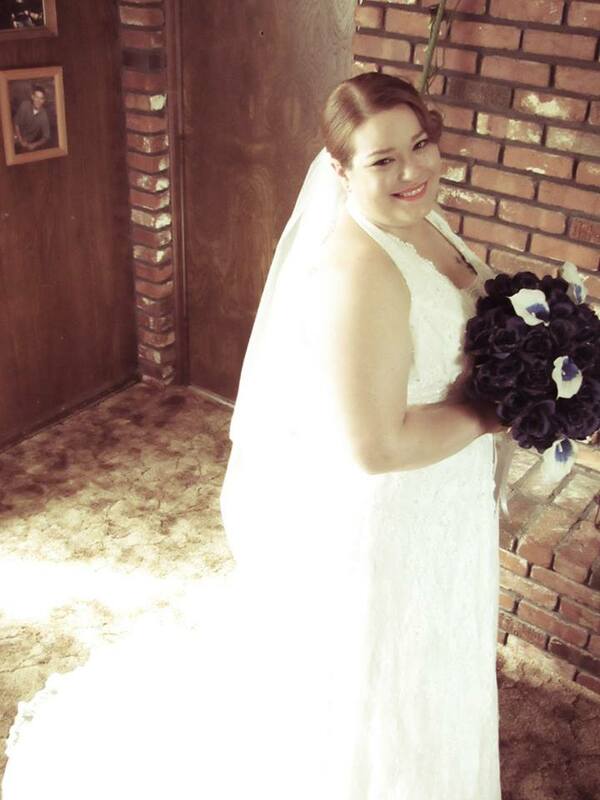 She recently celebrated 10 years of marriage with her husband who is in the Marine Corps. She enjoys being able to purge unnecessary items from her home every three years when they pack up and move to a new location. There are no worries that she will ever become a hoarder. She received her Master's from George Mason University and her Bachelor's from Clemson University. Go Tigers! In her free time she enjoys....who are we kidding, she has three kids...what is free time? 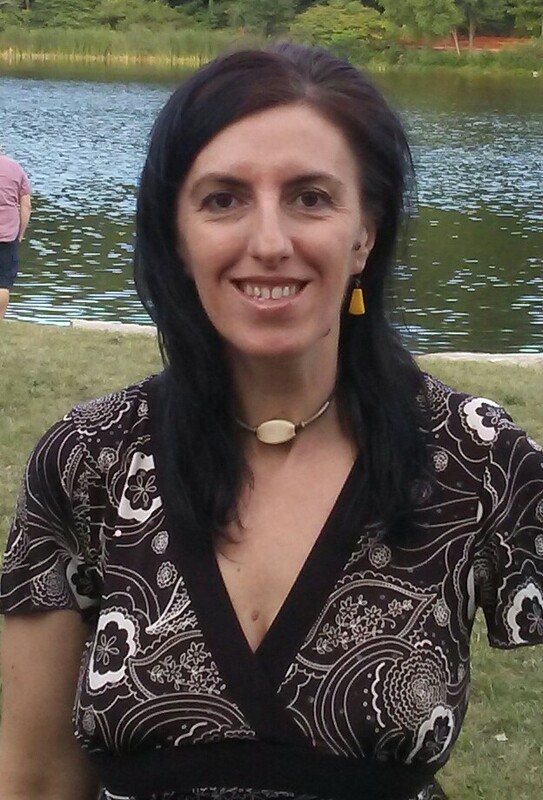 Jodi started working with Validity Screening in 08/2014. She received her Bachelor of Nursing degree from Fort Hays State University. Jodi has 3 children, 2 boys and one girl. Her children are very active in school and sports activities like basketball, soccer, track, dance, gymnastics, and band. You will usually find her sitting in the stands cheering on the kid's teams at games. Her family are big Denver Broncos fans. Jodi enjoys traveling on family vacations, cooking, especially desserts, reading, zumba workouts, and having movie nights with her kids. 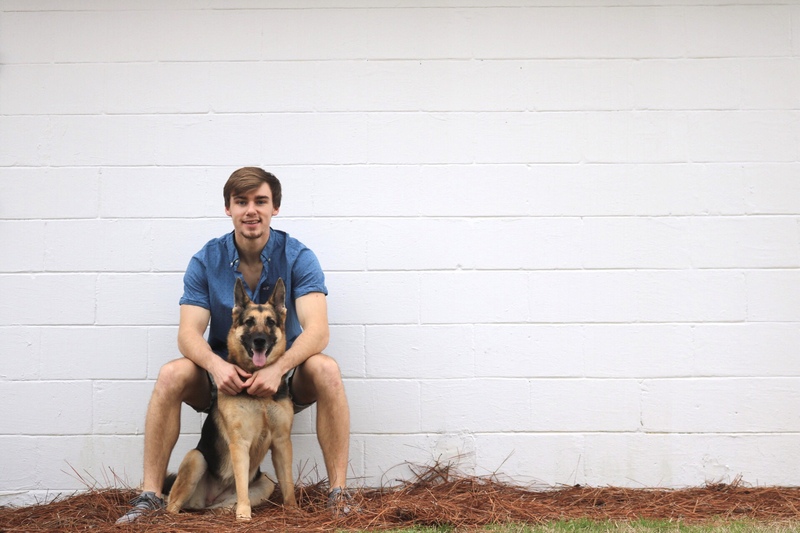 Marcus joined Validity in February of 2015 after meeting CEO Darren Dupriest’s wife, Noreen in a sculpture class. He was raised in the Dotte by his grandparents, Meem and Deed. They moved to Lenexa after Marcus's freshman year and thought it was best for him to "make new friends" and "expand his horizons" in Johnson County, of all places. Olathe Northwest's Art department can be accredited with his passion for art. Now enrolled at JCCC, Marcus thinks his life is a surprise, taking every day as is. Marcus loves to draw, paint, and sculpt any way he can. His life revolves around American Horror Story, The Walking Dead. Marcus loves all things horror, weird, and unusual-which would be why Halloween and October are his favorite times of the year. 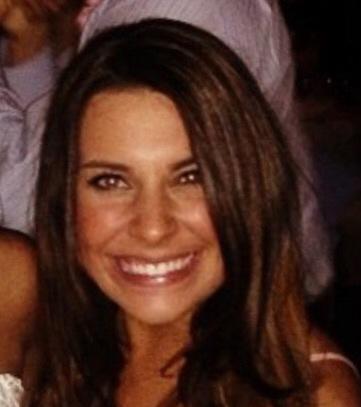 Jaime Yount is one of Validity’s Account Executives! She is engaged to her awesome fiancé, and has a step daughter and a son, who she absolutely loves! But try to keep up with Jaime, because she likes to go fast! Her passions are kart racing, and can even fix her own kart if it was to ever break down. But what makes her passion even better, is that her entire family supports her and does kart racing, too! So don’t blink! Or you’ll miss this family! Well, unless you catch them at a Royal’s game! 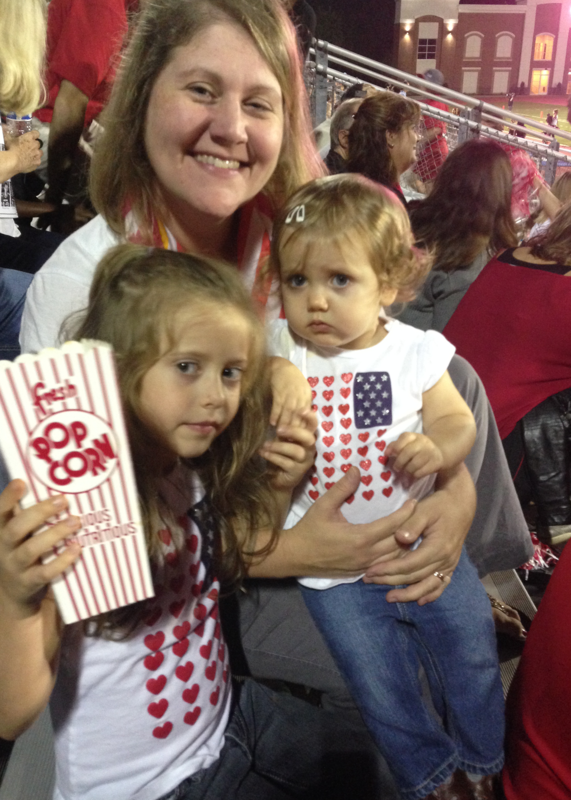 One of Jaime and her families favorite past times is also America’s past time, and that’s watching a great baseball game!